7 Energy recommend ÖkoFEN Pellematic Wood Pellet boilers from Organic Energy, although we can supply boilers from other manufacturers. 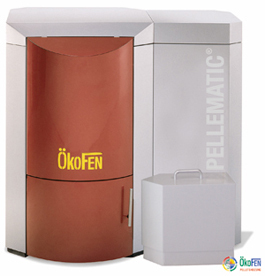 Find out more about ÖkoFEN Pellematic boilers here. Biomass harnesses energy to convert to heat from organic biological mass (otherwise known as biomass) such as plants, waste wood, crops and animal waste. Our small biomass boilers are designed for households and small businesses and burn wood chips or logs to produce the heat required for hot water and heating. We can also provide a range of highly efficient log-gasification biomass boilers suitable for both domestic and commercial applications. 7 Energy recommend ETA biomass boilers from Innasol Group. Find out more about ETA Biomass boilers here.